Our product range includes a wide range of carbonyl iron & folic acid capsule, orlistat capsule, amoxycillin trihydrate capsules, methylcobalamin with vitamins & mineral capsules, amoxycillin 500 medicine and omeprazole & domperidone capsules. We are able to offer our clients a wide range of Ginseng, Ashwagandha Multivitamin & Multimineral Capsules with the best quality. 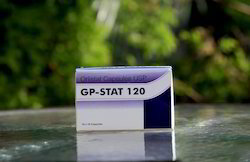 We are offering an exclusive range of Orlistat Capsule. These capsules are processed from pure chemical compounds that are directly sourced from the certified vendor of the market. 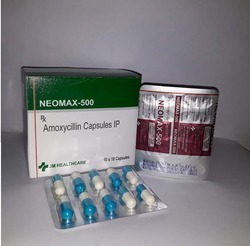 We are leading manufacturers of Amoxycillin 500. 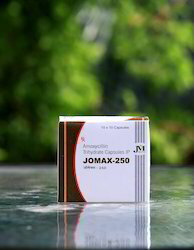 Our offered Amoxycillin Trihydrate Capsules are appreciated for their superior quality by the clients. These capsules are processed using high-grade chemical compounds and contemporary technology at our well-equipped processing unit. 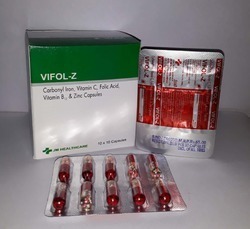 Our offered capsules are available in several packaging options as per the need of the clients. Apart from this, offered range is used to treat many different types of infection caused by bacteria, such as tonsillitis, bronchitis, pneumonia, gonorrhea, and infections of the ear, nose, throat, skin, or urinary tract. We are actively engaged in offering our clients a wide array of Omeprazole & Domperidone Capsules. It is used to treat symptoms of gastroesophageal reflux disease (GERD) and other conditions caused by excess stomach acid. 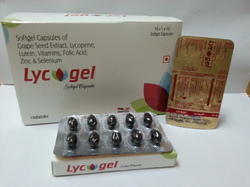 Soft Gelatin Capsules is an oral dosage form for medicine similar to capsules. They consist of a gelatin based shell surrounding a liquid fill. Softgel shells are a combination of gelatin, water, opacifier and a plasticiser such as glycerin and/or sorbitol. Age Group 5-12 Yrs., 13-25 Yrs., 26-40 Yrs. We are providing a wide array of LycopeneVitamin Capsules. Lycopene is found in watermelons, pink grapefruits, apricots, and pink guavas. It is found in particularly high amounts in tomatoes and tomato products. 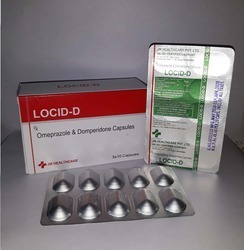 Rabeprazole Sodium & Sustained-Released Domperidone Capsules is used to treat certain stomach and esophagus problems (such as acid reflux, ulcers). It works by decreasing the amount of acid your stomach makes. It relieves symptoms such as heartburn, difficulty swallowing, and persistent cough. Lycopene Capsule is a common carotenoid compound found in fruits, vegetables, and green plants that are responsible for the red colour of tomatoes.